Saturate your lashes with this smudge-proof formula for explosive, 360-degree volume. Designed with densely bristled sides, the innovative double-action brush delivers endless length and dramatic definition for a sky-high lash lift. Formulated with a combination of hard and soft waxes, Hourglass Caution Extreme Lash Mascara provides 400% more volume in just one stroke. Start by concentrating brush at the base of your lashes and pull upward to coat your lashes from root to tip. Layer until desired effect is achieved. This has become my new go to Mascara! I am usually a drugstore mascara kind of girl. I have tried many high end brand mascaras but nothing had held up to my normal go to's (Catrice Glam & Doll for top lashes and Wet n' Wild Megalength for bottom lashes). I received a sample of the hourglass mascara in one of my subscription boxes and held off on trying it as I receive so many samples of Mascaras and am disappointed every time. Well, I recently decided to try it and let me tell you - GAME CHANGER! This product is wet but not too wet, thick but not too thick, and literally glides right over your lashes. It adds quite a bit of length in just one coat. Was this the MOST lengthening or thickening mascara? No. I have tried others that have been more volumizing or more lengthening. What set this apart is the longevity of it. This stuff literally stays put and looks like you just applied it ALL day. I was skeptical when I saw the claims that it did not smudge. I experience transfer or smudging with ALL mascara's, even my go tos and have come to expect it. This stuff though...this stuff is magic. It did not transfer at all or flake on me throughout the day. I work long days and this looked the same at the end of the night as when I first applied it. I immediately went and bought the full size mascara after using up my sample and I am not disappointed. If you want something that will stay put and last all day, I would highly recommend this. It works well on both top and bottom lashes. If using on the bottom, I would go in with minimal product on the wand (try wiping it on a tissue first) or it can make your bottom lashes look VERY long. Unlike most waterproof formulas, this is not clumpy or dry. It also comes off fairly easy with any standard make up remover. It is not the most volumizing but it does lengthen quite well. If you are someone who has struggled to find the perfect mascara or looking for something to last through long days, I would definitely recommend this product! I love this mascara. Wears and looks great. I also bought the Hourglass eyeshadow. Very nice! I really enjoy this mascara, it is a bit clumpy at times but it sets quick, good brush shape and it makes your lashes pop! I can’t say it enough, but I really love this mascara. And I’ve tried probably over 60 plus mascaras over the years. First of all I’ve been a lifetime lover and buyer of Lancome mascaras for 36 plus years. In an attempt to try to find a less expensive brand I tried many varied brands over the years. Always having one of my Lancome mascaras with me for back up. I never ever found a single replacement for their brand of superbly made mascaras. Their mascara has a quality like non other. And in the end it’s definitely worth the price point. I no longer look to replace it. I always have my 3 favorites of their mascaras on hand at all times. 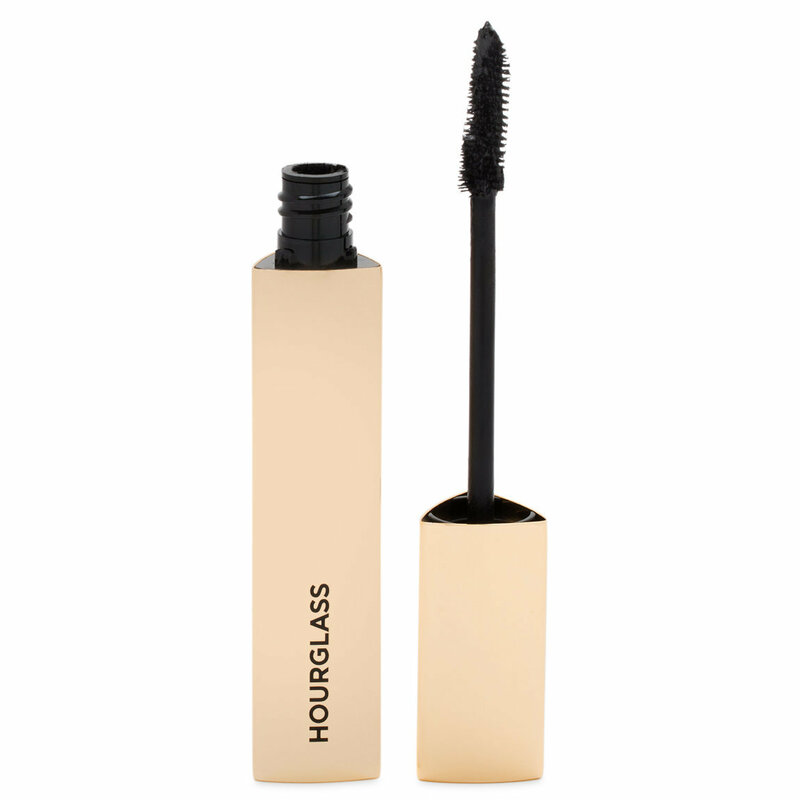 But I decided to try this Hourglass Extreme Lash Mascara as an additional piece to add to my existing eye make up. I thought maybe if I like it I’ll use it as my everyday casual wear mascara and save my Lancome brands for special evenings, like date nights, holiday gatherings, and festive functions. Much to my delight it was exceptional!! Never did I ever think I’d like any mascara as much as I do my Lancome ones. Yet this one definitely is a great surprise and an excellent find. Great price point too! It’s quality matches to the lengthier and thicker versions of my Lancome brands. I’m able to get the thickness and length desired by using this one mascara rather than combining 2 different mascaras from my Lancome collection to achieve the same effect. It goes on easily. Removes easily, lasts more than 12 plus hours. Never smears or runs. And doesn’t ever clump. The brush is a great lifter and separator! So now I’m able to use this as my everyday mascara, whilst saving the Lancome for the other days. The packaging and feel of the mascara barrel feels so great to hold. It’s sleek and shiny and has such a great feel to it when you hold it. Just by holding it you’ll sense you’ve got such an amazing product in your hands. And when you put it on you’ll see it not only feels amazing to hold but it is truly amazing on!! Just like most of us, I have tried SO. MANY. M A S C A R A S. Lol...And when you find one that really delivers and makes it actually look like false eyelashes, it's a keeper! I was given a tube of this by a friend, because she was so excited about how good it was, she wanted me to try it. I was literally blown away. Just one coat gave me amazing results. Each lash was coated with lovely precision, root to tip. My lashes were lifted, thus opening my very hooded, very almond shaped eyes, up.I did not experience any flaking or running, during the day. I did use a lash separator, after application and that made the effects even more noticeable and gorgeous!! I must say, only downside, my lashes did feel pretty stiff. But, my neighbor thought I was wearing falsies and the effects of this mascara, is just mind blowing!! I will buy this until they stop making it or,I die. Whichever comes first!! I really hope they continue making it, though. I have extremely oily eyelids and my eyes water a lot as well. No smudging and no flaking from this mascara! The curls also hold up well under the humidity here (80%!)!! I was lucky, got this in my lucky bag. Oh i love this! No clumping, no flaking, no smudging, no smearing. Just long thick lashes, removes readily with my oil cleanser. I even love the packaging, and i generally don't care about packaging. But it's large for a mascara, feels substantial in my hand, i like that. Simply the best mascara I've owned in years! It gives me great length and builds to a complimentary volume. I wear my makeup over 10 hours per day and haven't had a noticeable smudge yet. The packaging is gorgeous and has a high quality weight to it. The the wand is long enough to reach the pesky corners along with all of the other lashes. I'm on my second bottle and plan to buy more!